The MetaTrader platform was created for traders who need to keep up with instant price fluctuations in the forex markets. The multi-award-winning MetaTrader 4 is the most frequently used online trading platform in the world. Xero Markets provides its users with MetaTrader 4 (MT4), the award-winning trading platform. Customizable online trading platform with easy-to-use professional features. 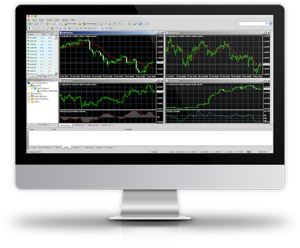 Access MetaTrader 4 with the most innovative and powerful trading platform via Windows and Mac. 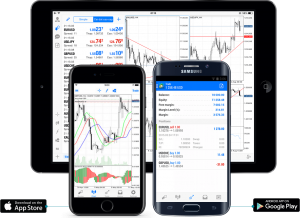 If you are a Mac user, there is no native application for MetaTrader 4, however there is an easy Access MetaTrader 4 with your smartphone or tablet! Follow the below steps to enable you to use the Metatrader 4 terminal on devices running on OS X. Please first visit the WineBottler homepage and download the latest release of WineBottler*. Next, please open the downloaded .dmg file. To begin the installation, drag the Wine icon into the Applications folder. After the installation has completed, you will be able to execute the Metatrader 4 installation file just as you would on a Windows based computer. Designed to fulfil the traders’ needs, it robust technology and instant execution delivers the cost-effective solution for beginners and professional traders worldwide. Add a team of professional support behind-the-scene, and you have the kind of trading platform that you can only dreamed of. Risk Warning : Trading forex/CFD's on margin carries a high level of risk and may not be suitable for all investors as you could sustain losses in excess of deposits. Leverage can work against you. Be aware and fully understand all risks associated with the market and trading. The content on any Xero Capital Markets Ltd website should not be construed as investment advice or an offer for any transaction with financial instruments. Xero Capital Markets does not offer its services to the residents of certain jurisdictions such as : Afghanistan, Cote d'Ivoire, Cuba, Iran, Libya, Myanmar, North Korea, Sudan, Puerto Rico, USA, Australia, Syria, Japan, and Ecuador. This website is owned and operated by Xero Capital Markets Ltd. Copyright 2017-2019. All rights reserved.